*The state asks hikers to obtain a permit first, though not mandatory. 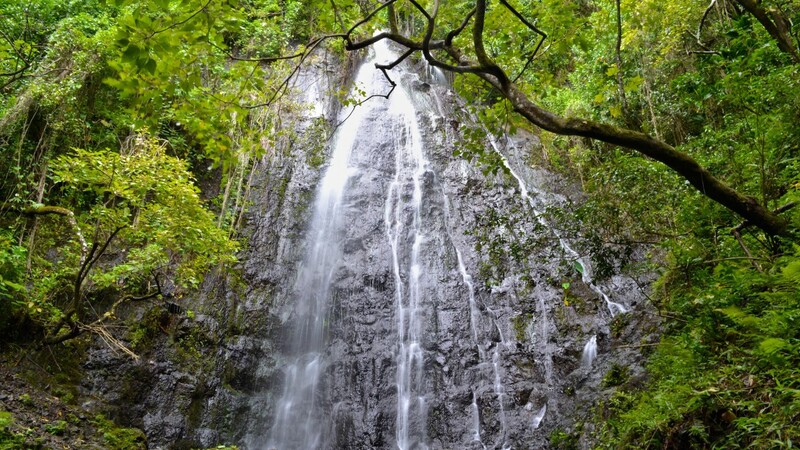 Though rather unknown amongst visitors and residents alike, Hamama Falls is one of O’ahu’s best. 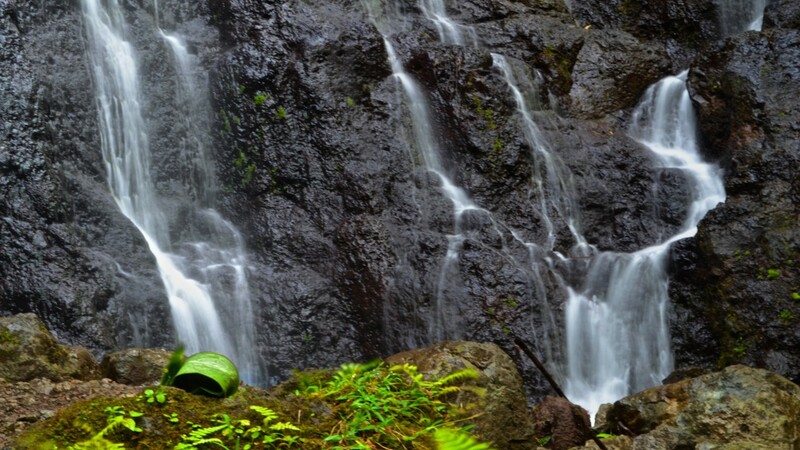 Tucked away in the back of Waihe’e Valley, a simple two mile dirt trail meanders its way through the forest until reaching the gorgeous 40-ft waterfall. The path is easy to follow and is family-friendly, including a small swimming hole off to the left within the first 10 minutes of the hike. 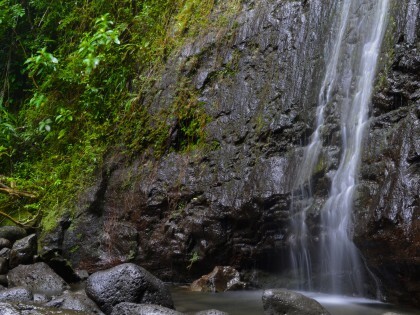 There are a few short uphill slogs as you approach the falls, just enough to have hikers craving a refreshing waterfall to swim in. The pool at the base of the falls is shallow, but is certainly provides a relaxing way to cool off. Please keep in mind that this trail is owned by the Board of Water Supply, and they do require a permit to enter the valley, though most visitors have gone without. We leave this up to your own discretion. 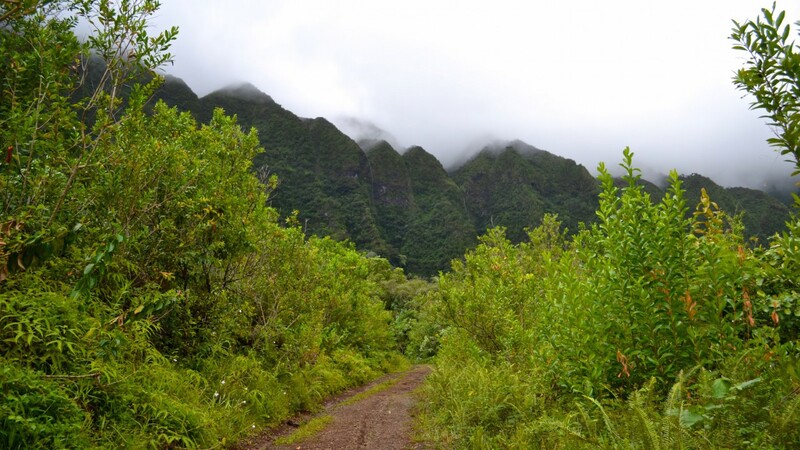 Out of respect for the island, the Board of Water Supply has asked that a map to the trailhead not be posted. 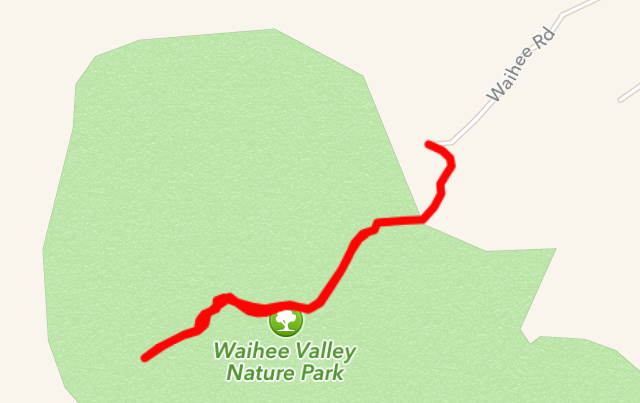 You can find the start of the trail at the end of Waihe’e Road in Kane’ohe. A permit may also be obtained to access the land, however it is not mandatory. 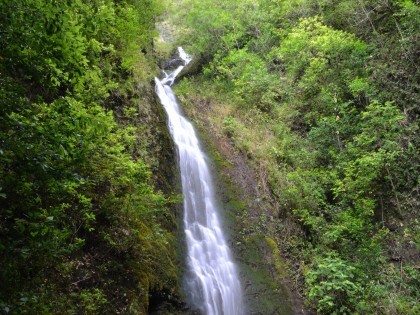 Please be respectful and stay on the trail, and enjoy the beautiful valley and waterfalls!